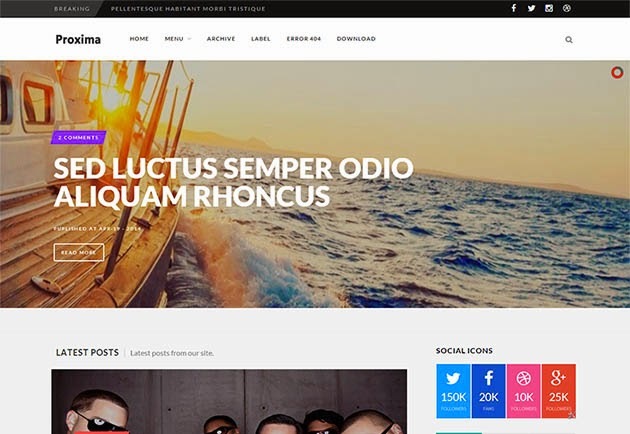 Proxima is a uniquely responsive Multi-Purpose Blogger template for all kinds of publishers. It’s perfect for reviews, recipes, Gaming, news and blog sites. Its High User-Friendly Blogger Template. It's an advance Blogger template which provides completely new looks to your website.